To get ahead in this complex world, one must be prepared with a good education. 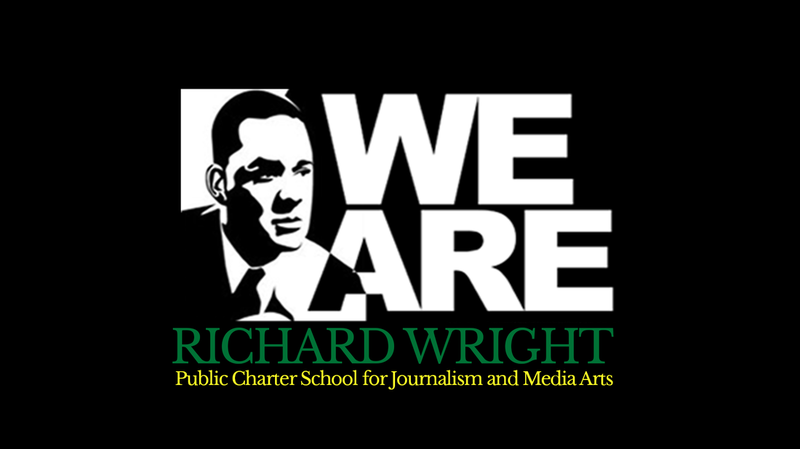 In this case, we focus on The Richard Wright Public Charter School For Journalism and Media Arts. Here we will find a group of dedicated educators who move on their serious mission to instruct and introduce their students to the field of Journalism in all of its various forms. Michelle: I was born in Cincinnati, Ohio, but my ancestral roots are the Philippines. I am first generation raised here in the States. Copa: When did you first start at The Richard Wright Public Charter School of Journalism and Media Arts? Michelle: I started with Richard Wright in the Spring of 2010 before the school opened its doors to students to help develop the journalism and media arts program, ROXIE (Reaching Our Excellence in Education). Copa: How do like your position at the school? Michelle: I love my position at the school! I do what I do because I feel this path brings together many of my interests, skills, and talents in the most productive, effective, and resonating ways possible. I have always been concerned with various social justice issues and issues of inequality and inequity even as a young child. I have roots in social activism and a sense of duty and responsibility to give back from my parents. I have also always had a passion for the arts and using my creativity to try and affect change. ﻿This position allows me the freedom to have a vision and actually create it. I use my creativity in a myriad of ways on a daily basis. I built this journalism and media arts program from the ground up and proud of it, which I rarely say, because I understand that so much more has to be done, continually. But I have learned so much in the process about myself, about people, about education, about politics, about everything, and it pushes me in positive ways to grow, which I believe has a ripple effect on those who I work with directly. I have seen the fruits of my labor, with young people I continually work with and the opportunities that have come their way and the growth in their character and work ethic. I am so proud of who they are and what they will be able to do in the future for themselves and for their communities, and being involved in that process is reciprocally worth all the hard work we do to ensure that our young people are equipped to not only be competitive in the world, but can contribute in positive ways and create real change for themselves, their families, their communities, their children, and the world. Copa: What sort of feeling do you have working at such a fine school? Michelle: I feel very fortunate and grateful to work at Richard Wright under the vision and charismatic leadership of Dr. Marco Clark who is instrumental and passionate about creating change in public education. The possibilities and potential to develop, grow, and thrive while expressing one's self creatively and passionately is not reserved for only students, but encouraged for everyone... staff, students, parents, partners. ﻿To offer our students an environment that is safe, nurturing, exciting, encouraging, and structured, but creative, is what we aim to do. Ultimately, everything I do is for the kids. It is always about them and building an educational force that is unstoppable, no matter if I am there or not. I do what I do because I feel what I do has meaning, substance, and can create real change in a society that is wrought with inequality and inequity. The connections we create speak volumes to what differentiates us and resonates into the community. We are passionate and committed about what we are doing and I am proud to be a part of a movement in which we are creating a legacy for our young people to carry on as positive change agents in the world. Copa: How would you describe your students of Richard Wright Public Charter School? Michelle: I would describe our students at Richard Wright as AMAZING, intelligent, creative, thoughtful, respectful, expressive, talented, beautiful, funny, deep, caring, insightful, energetic, enthusiastic, supportive, proud, resourceful, resilient, and strong individuals, young people, and future leaders. They are diverse and unique in various ways, and we try to offer various programs, extracurricular activities, exposure, and events that enhances our students' school experiences holistically. We are a family. We are Richard Wright. Copa: Dr. Clark, where are you from? Copa: What influenced you to consider a career in the field of education? Dr. Clark: I was a product of a poor public school education, therefore I was compelled to become a trained educator able to take on some of the most challenging demographics and make a difference. I also believe that all students really want to do well, but society as a whole condemns our youth before they get started. In my opinion there is always hope! One person can make a difference. Copa: Were you always a great student? Dr. Clark: I was a horrible student! I scored 480 on the SAT, graduated from high school with a 1.6 GPA and over 150 college rejections. However, there was a Dean that finally gave me an opportunity to attend the college and work to show that I deserved to be there. Once I arrived on the campus, I realized that surviving was a lot harder than getting accepted. However, I met a Professor who instilled in me an attitude that all things are possible. Copa: What is your personal philosophy to education where it pertains to inner city students? Dr. Clark: I believe in connection and building positive relationships with students and families to create a positive and productive learning environment that enhances academic achievement. Copa: When did you develop your plan to establish Richard Wright Public Charter School for Journalism and Media Arts? Dr. Clark: After serving two years as a public school principal, I saw how teachers unions, self serving individuals, and bureaucracy got in the way and impacted learning possibilities for kids negatively. I knew then that I wanted to open my own school to afford all students the highest quality education that was focused on the children and their learning with a team of committed and dedicated individuals aligned with the same vision. Copa: Please tell our readers about what makes your school so special to students and how it makes a difference. Dr. Clark: Richard Wright Public Charter School is an oasis of learning, leadership growth and development. My students are committed to learning, leadership, and an all around positive school environment. The mission of Richard Wright Public Charter School is to transform students into well-versed media contributors by improving their classwork, homework, speech and overall academic performance. 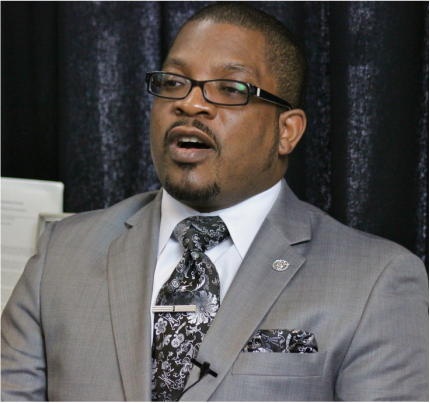 Copa: What does the future hold for Dr. Marco Clark? Dr. Clark: Thousands and thousands of students that I have worked with making a positive impact in various communities across the globe. Copa: Dr. Clark would you please tell us about the "Black Tie Gala?" Dr. Clark: The Black Tie Gala is undeniably the most impressive film festival in the DMV. Our film festival is focused on high school students and their creative genius and voice. 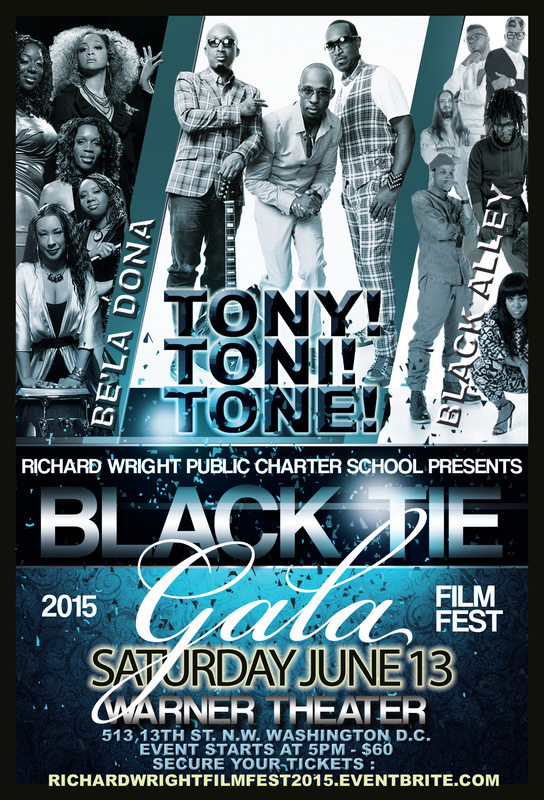 The Richard Wright Black Tie Gala Film Festival 2015 features powerful independent films and renowned musical artists at the historic Warner Theatre, located at 513 13th Street, NW on Saturday, June 13th, 2015. This red-carpet black tie event has grown from 300 attendees to the now 2000-seat venue at the Warner Theatre. The DC community as a whole has witnessed and supported the tremendous growth of the event as well as the films screened. The content continues to amaze, inspire, and entrance the viewers, promising only a bigger audience each year and a growing number of sponsors. Engaging, independent short films span genres and styles, informing, entertaining, and inspiring viewers with innovative techniques, fresh perspectives and powerful voices of change. These student produced films have garnered attention from national organizations and leaders in diverse fields of education, social change, politics, government, sports, business, arts & music, entertainment, and of course, media. Most recently one of our aspiring young filmmakers created a film centered on giving back. It is an Official Selection, receiving an Honorable Mention in this year’s White House Film Festival 2015 from over 2,500 submissions. The doors open at 5pm with hors d’oeuvres and the “unique musical elixir” of funk, jazz, soul, and rock by “one of the most followed, trendsetting and sought-after music groups hailing from the nation's capital,” Black Alley, as well as the exciting and sultry sounds of DC’s all-female band Be’la Dona. Known for their unique ability to perform diverse genres with intensity and versatility, this dynamic group tantalizes numerous audiences reflective in their popularity and ever-growing fan base. Renowned group gold and double platinum group Tony Toni Tone brings it back and it “Feels Good” to jam to some of the best R&B hits of the 80’s and 90’s. Tickets are available online at www.RichardWrightFilmFest2015.eventbrite.com. 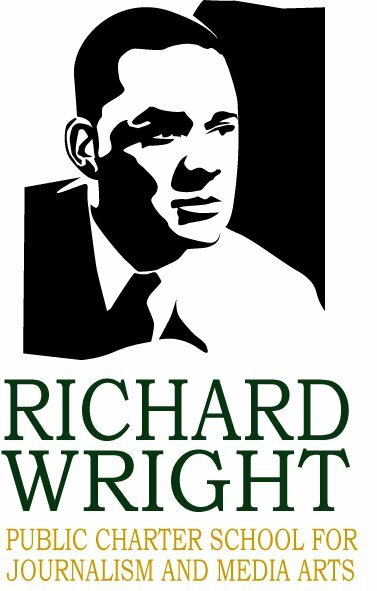 Follow us on Facebook at Richard Wright Gala or Richard Wright Public Charter School for Journalism and Media Arts, or on Twitter @RWPCSROXIE. For more information, contact Michelle Santos at (410) 322-0187 or msantos@richardwrightpcs.org. If you are unable to attend, donations are always appreciated and tax-deductible.